The Champion Power Equipment 46597 gasoline powered portable generator is powered by a 196cc Champion single cylinder, 4-stroke OHV engine that produces 3500 running watts and 4000 starting watts. With a 4 gal. fuel tank this unit can run up to 12 hours at 50% load. Our OHV engine is equipped with a low oil shut-off sensor and designed for long life and easy maintenance. 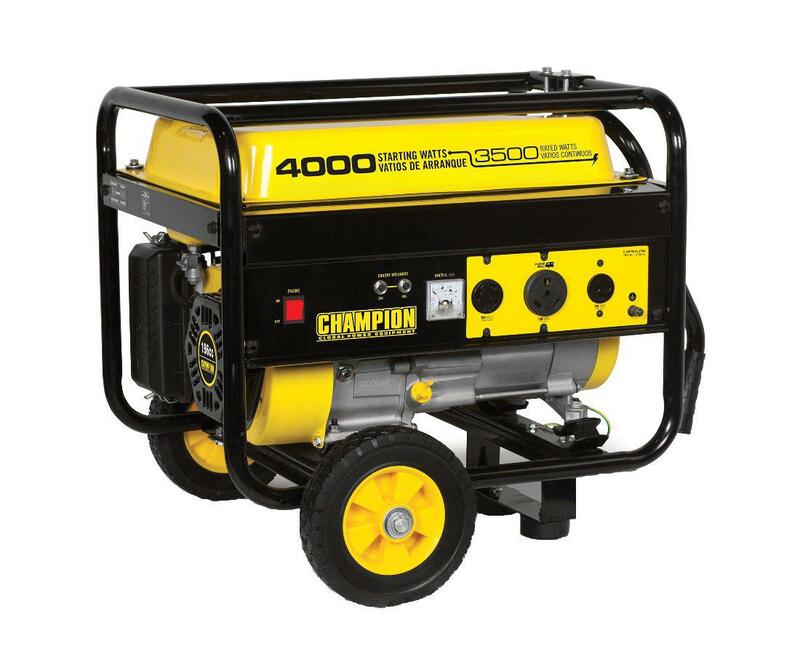 This unit is ideal for RV's, camping trips, hunting, traveling, jobs around the house, or home back-up power during emergencies. EPA approved for 49 states. · 68 dBA at 23 ft.
· Ideal for powering a fridge, furnace, lights, TV, other small appliance or a few household items.